Краткое описание: You are the Low Gravity Man! 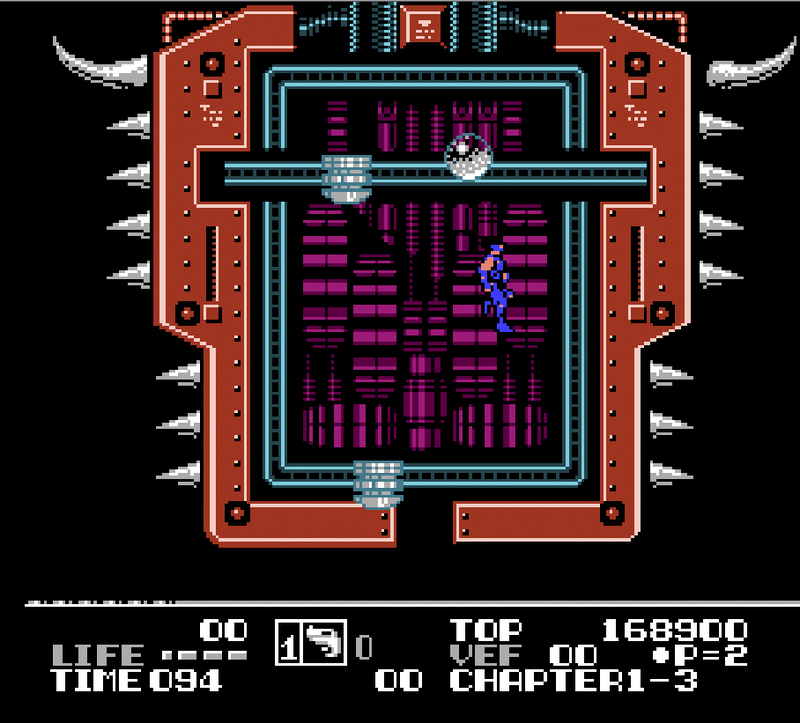 When powered up, you can jump one and three quarters screens high. Capture and use enemy vehicles, including the spider vehicle which can crawl on ceilings. Catch and power up enemy weapons, and much, much more. 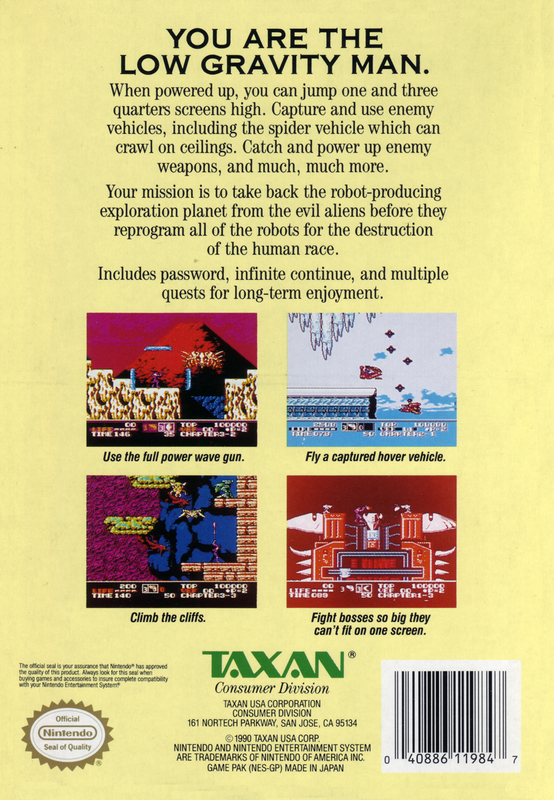 Your mission is to take back the robot-producing exploration planet from the evil aliens before they reprogram all of the robots for the destruction of the human race. Includes password, infinite continue, and multiple quests for long-term enjoyment! 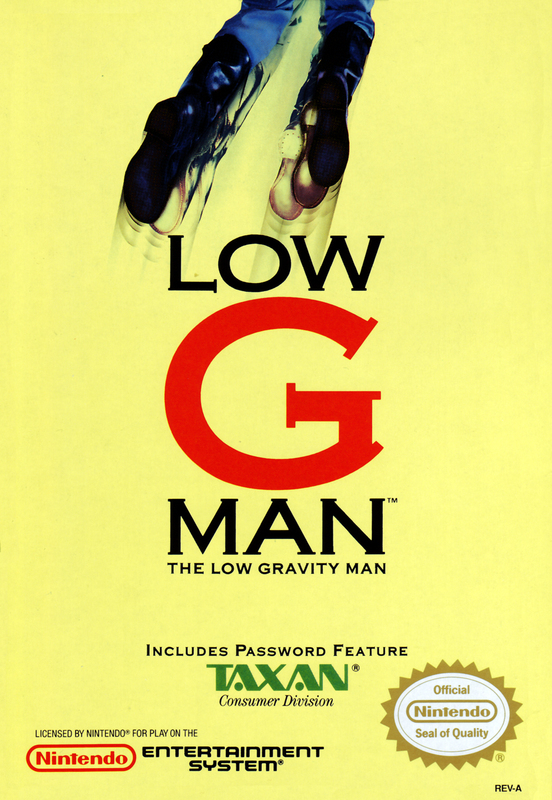 You are the Low Gravity Man! When powered up, you can jump one and three quarters screens high. Capture and use enemy vehicles, including the spider vehicle which can crawl on ceilings. Catch and power up enemy weapons, and much, much more. Your mission is to take back the robot-producing exploration planet from the evil aliens before they reprogram all of the robots for the destruction of the human race. Includes password, infinite continue, and multiple quests for long-term enjoyment!